This is also why we are advocates of Rope Access work. There are numerous ways companies can have work done at a height; but there are several reasons why, whenever this is an option, should be the preferred method. Firstly, and this is always going to be an important one for us, rope access is safer. In 2014, the Health & Safety Executive (HSE) recorded over 30 fatalities from falls, including a dozen members of the public that were work-related. New records will soon be published for 2015. In comparison, there have only been a handful of fatalities in the UK and abroad, involving rope access technicians that have been IRATA trained and certified. 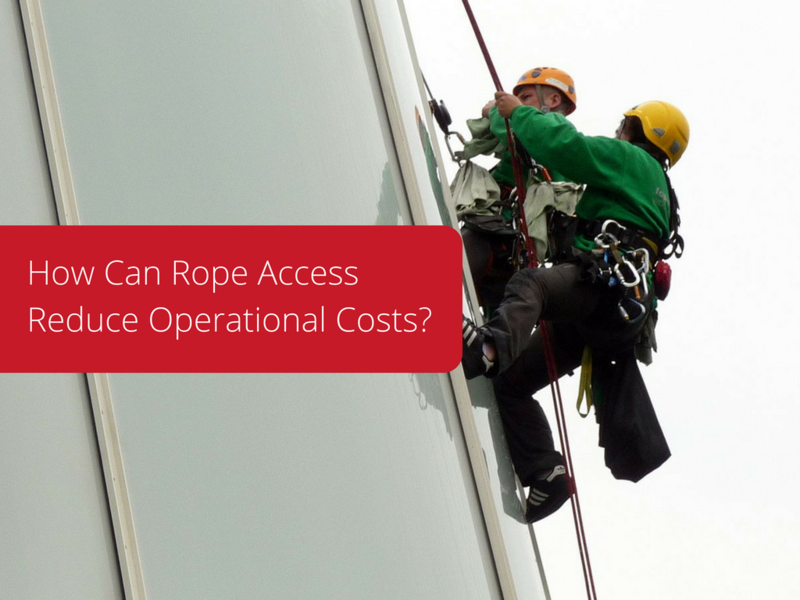 Secondly, the costs associated with rope access are significantly lower than scaffolding or other access methods. We have compiled a few examples from the UK, US & Canada. Canadian companies currently spend around $2.5 billion every year on scaffolding. The power industry, with grids that stretch thousands of miles, across prairie and tundra, over mountains and alongside the roads that connect Canadians, needs a considerable amount of scaffolding for repairs and inspections. Winters are harsh in Canada. Power cables and pylons need regular inspections and maintenance. One Canadian power generator in Ontario required standard maintenance over part of their grid. With scaffolding and cranes, they were given an estimate of $1 million, involving 20 – 30 days setup time, before the maintenance could start. Instead, they sought a quote from a rope access company, which responded with a price that created cost savings of $750,000, and a reduced timescale of one week. There are numerous other examples of rope access firm’s in Canada saving clients millions and a considerable amount of time, resulting in a higher ROI from mission critical assets, from Ontarian power grids to Albertan oil refineries. Generating electricity from wind farms is more efficient at sea. Around 20 miles from the westernmost point of Denmark is Blåvands Huk, home to Horns Rev 2, a wind farm with 91 Siemens turbines, owned by Dong Energy. Opened in 2009, it was the largest in the world, until Thanet went operational in 2010. Inspecting and maintaining these assets is not easy, especially in the harsh North Sea conditions. Rope access is proving the most viable, cost effective method. 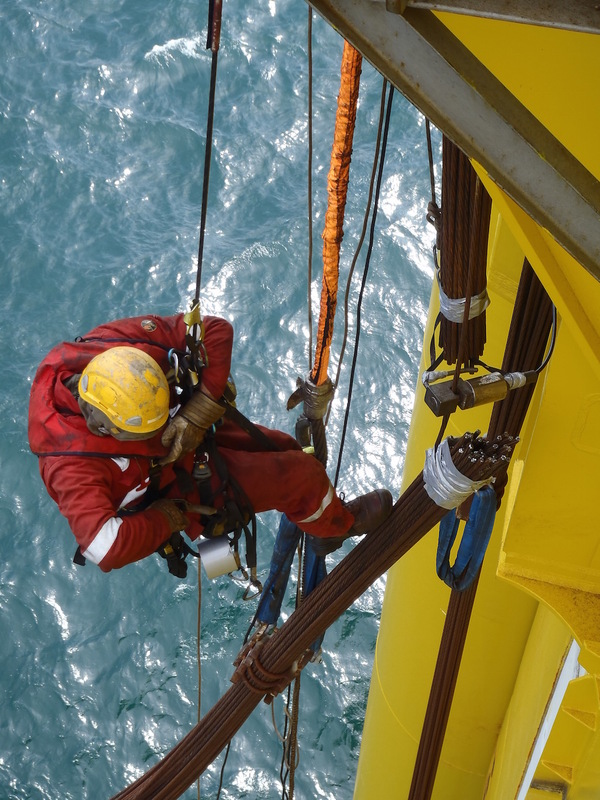 When Dong needed “shell and tail inspection and retrofits for 273 blades on 91 turbines to increase efficiency”, they approached Ropeworks in 2011 to undertake the work. This involved assembling an international 23 person team, travelling between turbines by boat and living on Poseidon, the first offshore wind farm accommodation platform in the world. Every turbine was successfully inspected and fixed as needed, with minimal downtime and maximum efficiency. Tri-State Generation and Transmission (G&T) is an American power generator that serves Colorado, Nebraska, Wyoming and New Mexico. This involves numerous mountains and hard-to-access work sites. Tri-State introduced their staff to barehand and hot-sticking procedures thirty years ago, which means safely maintaining power cables whilst lines are still live. Rope access is a cost and time saver in all kinds of environments. With the right training, equipment and methods, even those who wouldn’t normally use ropes can gain access to vertical environments to do their jobs more efficiently. Find out more about Rope Access work with our free downloadable eBook. Interested in even further cost savings? Give us a call (01248 719270) or send an email to set up a free Papertrail Demo.